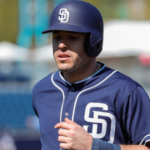 I recently sat down with Andy Green in his spring training office to discuss baseball philosophy and the future of his San Diego Padres. The young manager had many interesting things to say about the structure of his club moving forward. 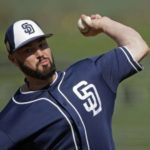 In walking in and around the San Diego Padres’ locker room, there is a common theme. Each and every player I talk to speaks about competition and the fact that they cannot take anything for granted. “Everything they do matters every single day.” Green keeps a watchful eye over everything in camp, as he truly wants to know what each and every player is up to. There are several ways to evaluate a player. Green prefers to sit back and watch the men do what they need to do in order to make themselves ready each and every day. “They are being evaluated by the way they prepare and the way they play.” Preparation is key to the success of a veteran major leaguer. If they do what they need to when nobody is monitoring them, then they might have a chance in this game. In talking about the competition in the locker room this spring, Green told me “That’s the type of culture we want here because we think that leads to championship quality baseball.” He is probably correct in that statement as you cannot take things for granted in the game of baseball. Having one eye behind your back will only make a player perform to his greatest abilities. 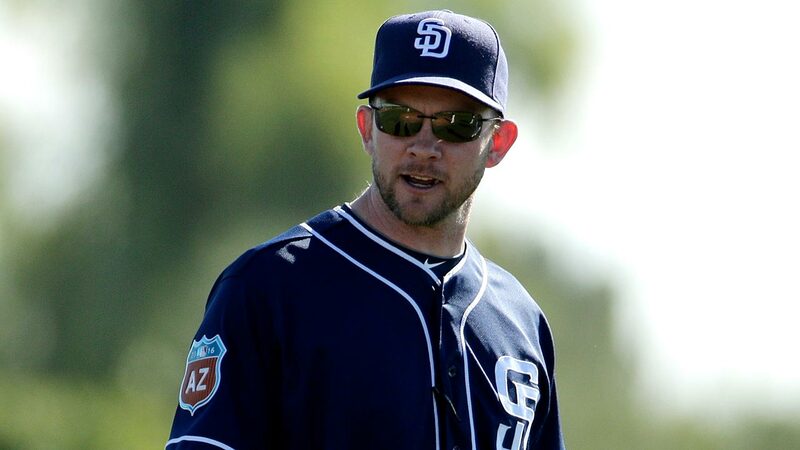 Andy Green has always struck me as an old-school type of manager – a baseball purist if you will. I wanted to know if Andy had any pet peeves in the game of baseball. I asked him about bat flips, non-hustling, and showboating in major league baseball. “The bat flips never bothered me. They didn’t bother me when I played. 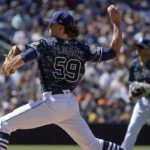 I’m under the belief that if you don’t like it, pitch better.” Not a surprising answer, as the game of baseball has slowly become more “fun”, and actions like that are no longer deemed showing up an opposing pitcher (well, at least for the most part). There was one thing that bothered the young manager, and that was not a surprise. “Lack of effort bothers me. Subtle little things within the game also bother me. Things that I know we can do better.” He is a teacher, and if his pupils fail to correct their errors, he does lose patience. Hustle is a thing that most anyone can do. 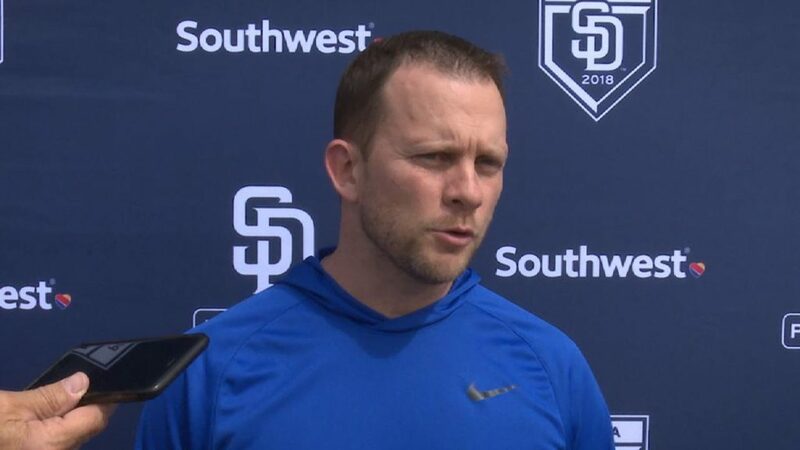 It really comes down to effort and Andy Green will not put up with a partial effort from his players. There are a ton of Latin players in the minors, and even a Japanese star in Kazuhisa Makita in the locker room. I wanted to know if Andy had difficulties from time to time communicating with all these young players. “It’s not very difficult at all. Our interpreters know who I am and what I try to communicate. 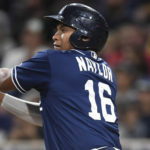 90 percent of what you try to communicate is non-verbal anyways.” The Padres have great translators on staff, and like Green indicates, they know his personality well and what he tries to convey to his team. In watching several games this spring, in person, I have noticed some dramatic infield shifts for the Padres. I wanted to know if the team was doing some experimenting or if they will continue to shift in a dramatic way come Opening Day. “We will shift aggressively in the spring sometimes to get guys accustomed to be in spots on the field. I will almost always pull the infield in early during a spring game. 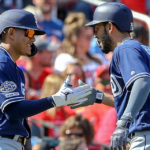 I want them to get mental and physical reps at the position.” This is not only a great way to get each player prepared, but an awesome way to judge whether or not they will be able to handle the grind when it comes to playing in a major league game. Andy told me he was happy that Eric Lauer got into a little bit of a jam on Thursday night versus the Giants. He wanted to see the young hurler have to battle out of a jam. This is a great way to gauge reaction from a player when times are tough. I asked Andy if he planned on recreating this challenge to others on the staff. “We have tried to do that. We brought Adam Cimber into a dicey situation or two just to see how he handles it. We will do that as spring moves on. We will pick our situations.” We shall see more of this in the next few weeks, as Green evaluates the bullpen for the 2018 season. 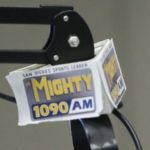 In closing, we spoke about giving away at bats and the mindset that new hitting coach Matt Stairs brings to the table. Giving away at-bats was a common problem last year for the Friars. “That is part of our message so far. Stubborn hitters do not give away at-bats. For the most part this spring, we have done a fairly solid job. There is always going to be bad at-bats or empty at-bats. 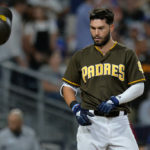 It’s the nature of the game of baseball.” He does not expect perfection with this issue, but the Padres should show improvement this coming year. “I prefer our guys grind every single at-bat and are relentless in that mindset.” With a thought process like that, this team should be able to enjoy success sooner rather than later. Andy Green would have it no other way. It ALL sounds good. Ready for some real results!! It has been awhile since I have been more anxious for a season to start. It feels real good.